Samantha Paradise Villa in the Argolida, Greece... close to Mycenae, Nafplion, Tiryntha and Nemea, in the heart of the Peloponnese sleeping up to 10 persons. Places to visit and things to do in the Argolida. Activities in the Peloponnese area are many and varied and we have tried to give an idea of some of the most popular here. Try wine-tasting in Nemea or see a play at the Epidavros Theatre, visit the local ouzo distillery or how about a guided historical walk.. The choice of archaeological sites in the Peloponnese are wide and varied and are all within a days trip by car from Samantha Paradise. In particular Mycenae is just 20 minutes away, the famous theatre of Epidavros around 40 mins, Olympia, home of the Olympic Games is around a 3 hr journey and Athens just 1.5 hrs. If you would like further information on other sites please check out our area pages. Walking, rock climbing and hiking are activities that many people visit the Argolida to do taking advantage of the beautiful scenery and countryside, the routes are numerous. The beaches in Greece are famous worldwide and the sea around the Argolida is crystal clear, clean and ideal for swimming, sunbathing and fishing.. all are safe for children. Water sports is a popular activity in the Argolida for example snorkelling, waterskiing, windsurfing, sailing and scuba diving. Want to be lazy? 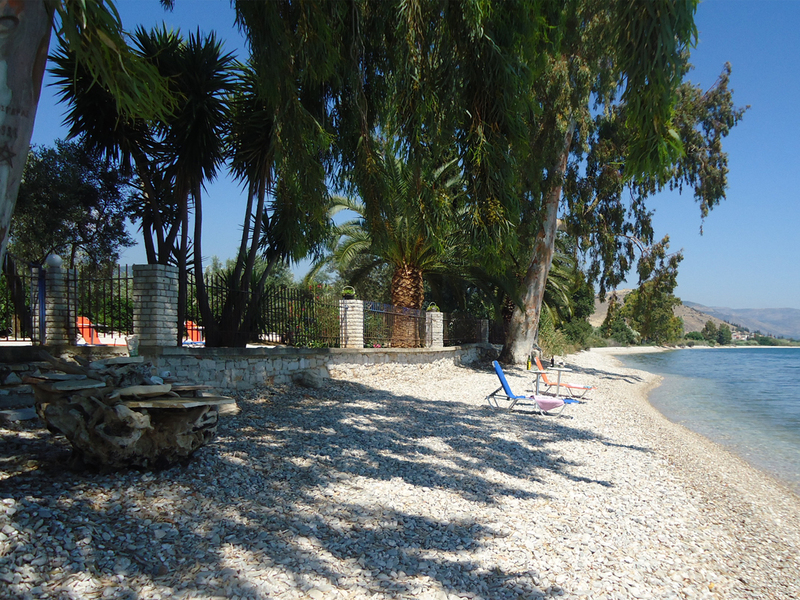 If you would just like to completely relax on a break away from the routine of everyday life, what better place to do so than the Argolida and Samantha Paradise with its private beach.